The tithe was an annual payment of an agreed proportion (originally one-tenth) of the yearly produce of the land, which was payable by parishioners to the parish church, to support it and its clergyman. Originally tithes were paid 'in kind' (wool, milk, honey, fish, barley etc). By 1836 tithes were still payable in most of the parishes in England and Wales, but the Government had decided on the commutation of tithes – in other words, the substitution of money payments in place of payment 'in kind' all over the country – and the Tithe Commutation Act was passed in 1836. A survey of the whole of England and Wales was undertaken in the decade or so after 1836, to establish boundaries of land, acreage of fields, and states of cultivation, and parish or district tithe maps showing all plots subject to tithe were produced. When an overall value for the tithe in a parish or district had been determined, the tithe rent-charge had to be apportioned fairly among the lands of differing quality and various uses in the parish, and for this purpose a tithe apportionment linked to the map was drawn up. 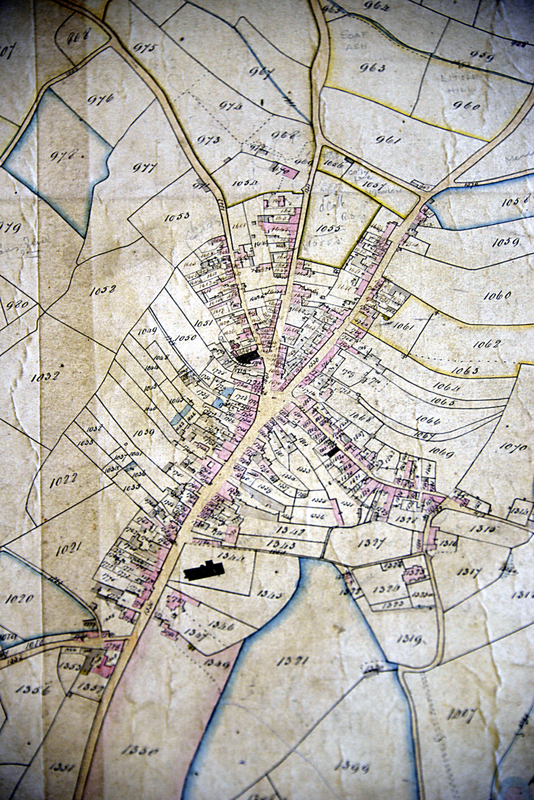 The tithe map and apportionment list for Chudleigh was made in 1838. This document, togther with 10-yearly census returns, has been heavily consulted to determine much of the property ownership noted on this CHG website and for the The Chudleigh Book. 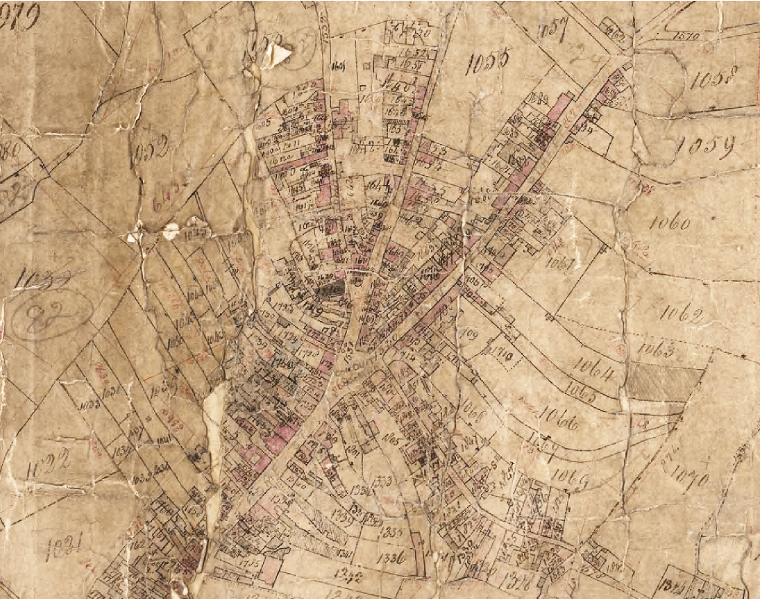 The process of creating high-resolution digital copies of Devon's tithe maps began with the East Devon Parishscapes project in 2008, and by the end of 2009 all 510 maps held at the Devon Record Office (plus a few duplicates and extras) had been scanned. The DRO also purchased grayscale digital copies of the 472 Devon tithe apportionments from the National Archives. The digitized maps and apportionments are being published on the DRO Tithe Maps website staring in 2011, so that many – including Chudleigh – can now be viewed without visiting a record office. The original and transcribed TA lists can be downloaded as PDF files, and the scanned tithe maps can be interactively viewed. A second stage in the process will involve 'stretching' the maps over a modern map, so that they can form a layer in a Geographical Information System and be used to demonstrate changes in the landscape over time. The third and final stage will interactively link the apportionment details to each field on the map, thus making information about ownership, occupancy, acreage, and state of cultivation instantly accessible. 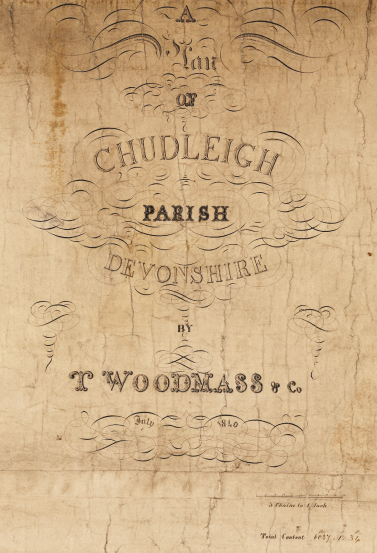 In the autumn of 2011 Stephen Coombes, Chudleigh History Group member, fully transcribed the whole of the Chudleigh Apportionment book as part of the Devon Record Office project (see above). This is now in an easily searchable format and includes all plots that the parish was divided into at the survey of 1838. For each plot we have the owner, occupier, name, state of cultivation and acreage. The Friends of Devon Archives (FODA) have ccordinated the transcription of the Tithe Apportionments for the whole county and created an online searchable database which can be filtered by name or by parish from the FODA parish search page. Enter 'Chudleigh' in the Parish drop-down list to view the list of all owners and occupiers. The 1838 Tithe Apportionment for Chudleigh contains 357 records over 8 pages. A transcription can also be downloaded in PDF table form from the above link to the DRO tithe maps page, along with scans of the original document pages (again as a PDF file). 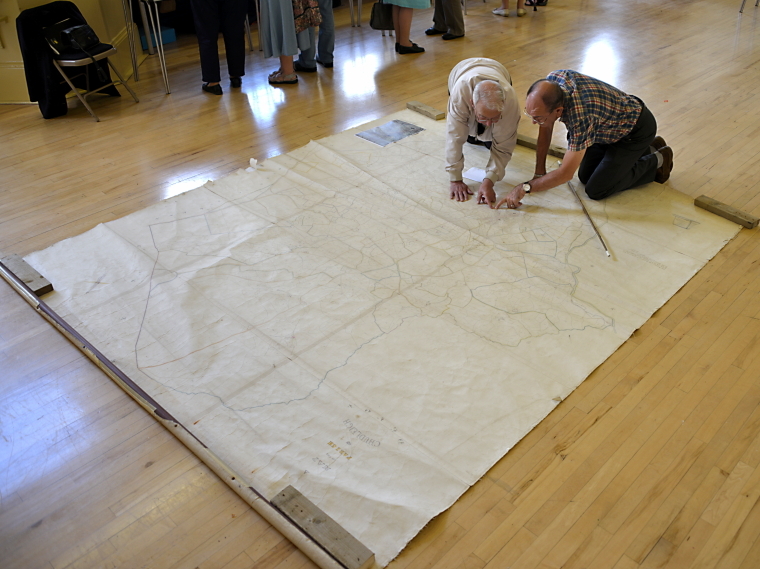 A tithe map of the whole parish is kept at the Chudleigh Town Hall but is not easily accessible. Being some 5m x 4m in size and hand-drawn and coloured on several sheets of vellum glued togther, it is normally stored rolled-up, but even so – after getting on for 200 years old – its showing signs of deterioration. It is put on display only on rare occations; the last was for a couple of days during Chudfest Week, 2015. Certification of copy sign-off detail from the CTH version of the 1838 Chudleigh tithe map. Another copy (probably the original master), available to researchers, is held at the Devon Record Office at Sowton, near Exeter. Several Devon tithe maps – including that for Chudleigh – have been scanned and can be viewed interactively from the above DRO tithes map page. Town centre detail from the DRO copy of the 1838 Chudleigh tithe map.